Opera has announced that it is working on a free VPN that will come in-built in its Android browser. The company further said that with the feature, it will be harder for websites or ISPs to track users’ internet usage. It also added that the free VPN feature will not collect information that travels through it. 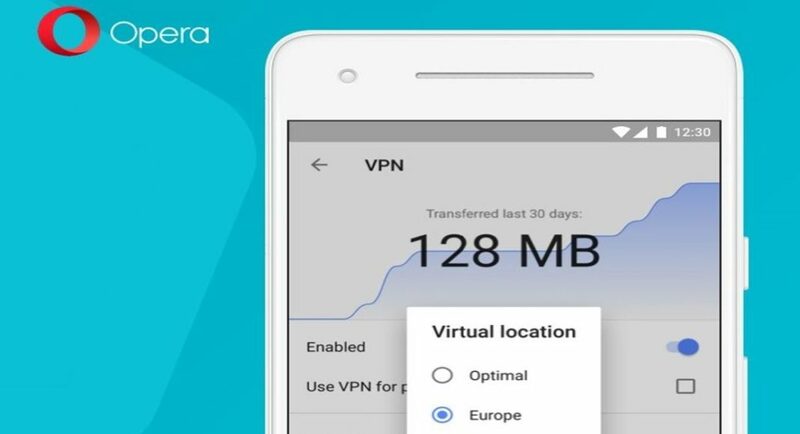 Opera’s new feature has already started rolling out in the beta version of its app and the company said that it plans to test it “for some time.” We should mention that this isn’t the first time that Opera has brought a VPN service to the Android platform. However, last time, the service came in the form of a standalone app, which was made available for Android as well as iOS. But in April last year, the VPN app by Opera was discontinued on both the mobile platforms. In case you missed the service, Opera’s announcement should make you happy. What’s even better this time is that you don’t need another app in your smartphone to get the service. If you use the Opera browser, you will have access to the VPN by default. And it is worth pointing out that this feature may lead to increased adoption of the Opera browser, while the standalone app did not guarantee this. Opera’s beta app offers a couple of different option in which you can use the VPN service. For starters, you can select manually which continents you wish your virtual location to be in, although the default option for this is ‘Optimal’. Furthermore, you can also choose when exactly you want to VPN feature to apply. Users also have the option of choosing VPN to be used only for web-pages that have been opened in private tabs, and they can disable it when they access to search engines for more relevant results that can only show up if they are able to track your location. The VPN feature is rolling out in the beta version of the Android app in a phased manner. So don’t be surprised if your friends get it before you do. However, we should mention that Opera has said that users’ internet speed may be affected by routing your traffic through the service. And as of now, there is no word on whether the VPN feature will also be made available on Opera’s iOS browser.